Better coffee just got easier to find in your New York City break room. Enjoy gourmet coffee &specialty beverages at work. Better coffee brewers, premium roasts, and attention to your specific office coffee service needs are all examples of the Vendrite difference. We are your one stop shop for your New York City break room whether you need creamers and sugar or cups and paper products. We are happy to accommodate any request for items in your office coffee service, making it a unique, customized solution for your company. Relieve the office manager, while enjoying better office coffee service and an organized, well-stocked break area. Vendrite has single-cup coffee brewers, traditional coffee brewers, national brand name coffee, private roasts, a high-quality line of hot teas, flavored and regular creamers, a variety of sweeteners, hot beverage cups, lids, and so much more. Find out all the ways Vendrite can make your office coffee service the employee benefit you want it to be. Be more competitive for talent by creating a superior coffee service solution. From gourmet coffees to pure tasting filtered water, Vendrite can help you upgrade your New York City break room to wow employees. Traditional doesn’t mean old fashioned with these sophisticated, commercial grade coffee brewers. 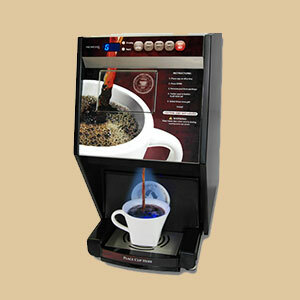 Coffee by the cup offers more variety, while still being reliable with our professional, quality equipment. Choose plumbed-in water to eliminate hassles -- available as a floor standing or countertop model. Get the items you need for a competitive and successful break room from one provider. We offer national brand name coffee, private label, premium roasts, and everything in between. Only the finest ingredients go into the teas we offer from national names you trust for quality. We craft a unique office coffee service solution for each New York City business we serve. 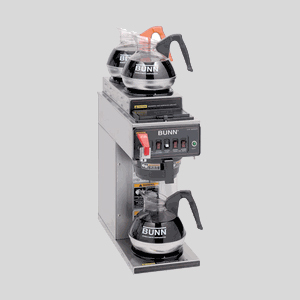 Equipment and blends that produce the same, or better, quality hot beverages than the cafe. Everything you need is now available from a single provider in the New York City area with Vendrite. for your New York City break room today. 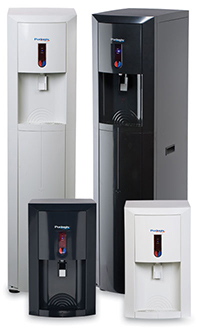 Water filtration units are a hassle-free way for employees to hydrate and perform their jobs better. Clean, refreshing water is healthy and inviting. Employees who are hydrated focus better and are more productive. 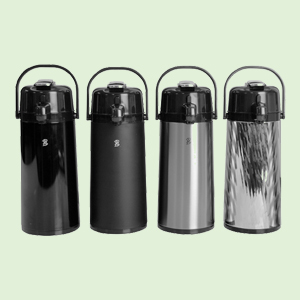 Our water filtration units give you the water cooler benefits, but without storing and lifting 5 gallon water bottles. A variety of filters are available to eliminate impurities that affect the taste and quality of water. The floorstanding model gives your location the water cooler feel, while delivering both hot and cold water. We also offer a countertop model to save floor space. Both units connect to the existing water line so there is no reservoir to refill. Filtered water can also be used in your coffee and tea, reducing service calls and producing better tasting hot beverages. 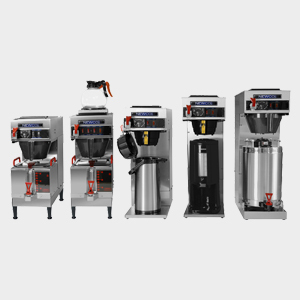 Don’t settle for old style coffee when you can get the products and equipment to match the coffeehouse from Vendrite at carl@vendritevending.com or (718) 767-9292.